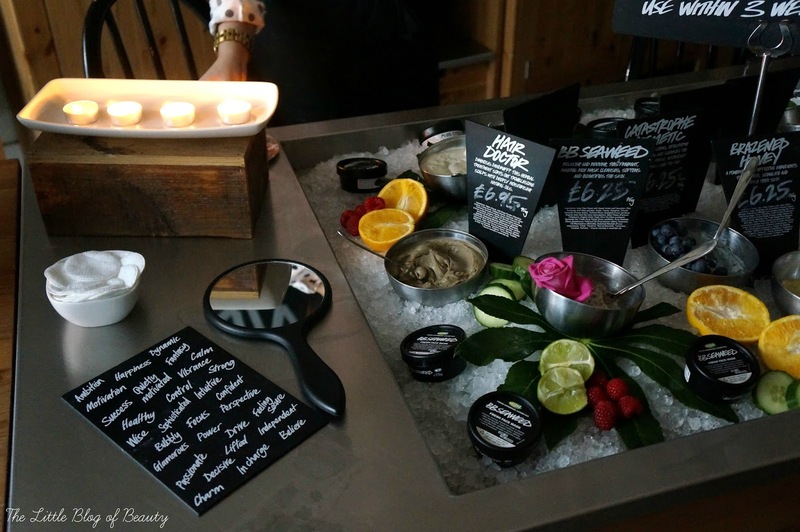 Throughout September Lush Meadowhall are offering a number of invitation only Luxury Spa experience evenings for VIP customers and on Sunday I was invited along to a blogger preview. When we arrived we found the store closed and in darkness and for a second or two we thought we'd got the wrong store or the wrong day, but then we spotted candles flickering away inside. The shutter was lifted and we were greeted by relaxing music and the store gently lit by several tea lights dotted around. Because the store was dark this means some of my pictures are a little dark but it provided an amazing atmosphere that I think does come across in the pictures. 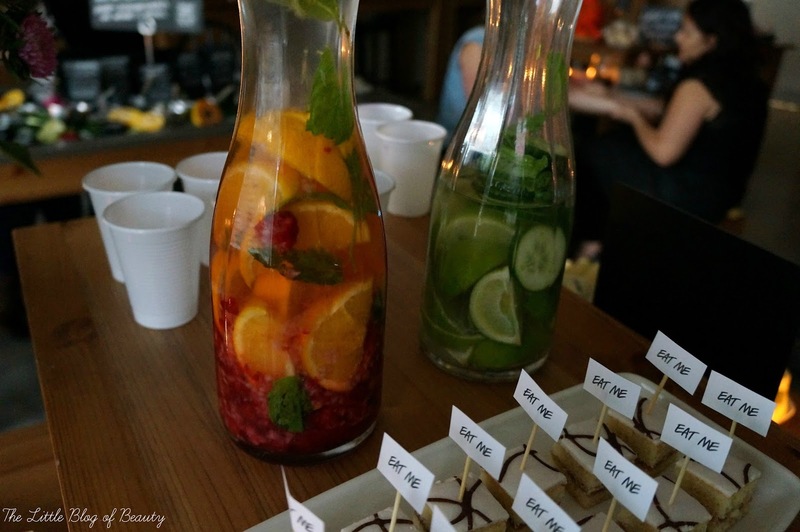 When we went in we were offered a choice of lovely fruit infused waters made by one of our hosts for the night (yet again I've completely forgotten names, start making notes Becky!) 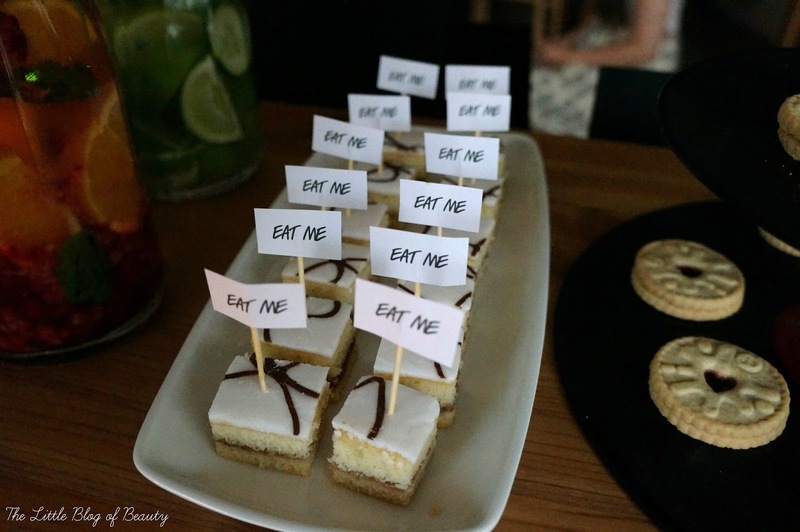 with our options being orange and raspberry or lime and cucumber. 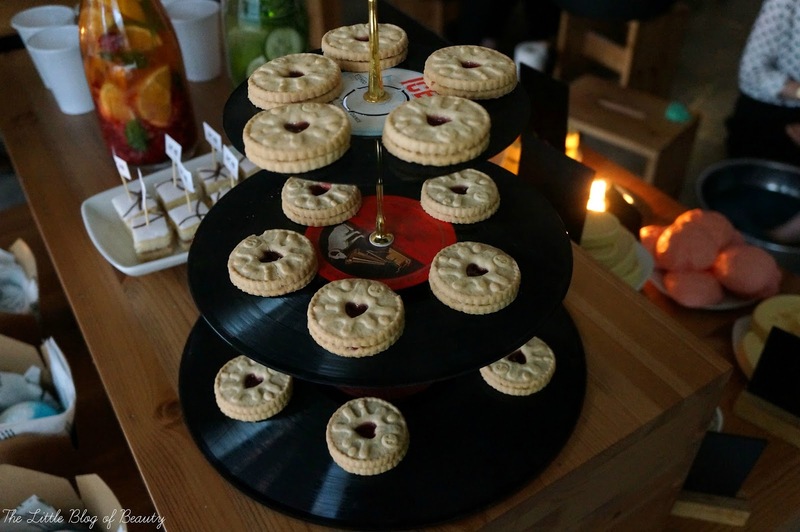 There were little cakes instructing us to eat them, which obviously we did, and some Jammy Dodgers on a record cake stand. 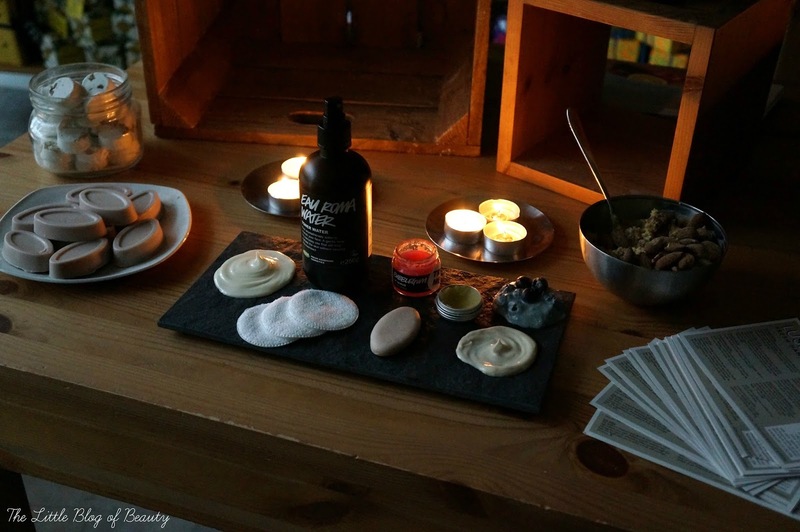 There were three treatments available for us to try on the night including the Validation Facial, The Spell and The Comforter. Despite currently sporting an under the skin spot that is comparable in size to Mount Everest I decided to let my makeup come off and I tried the Validation Facial*. 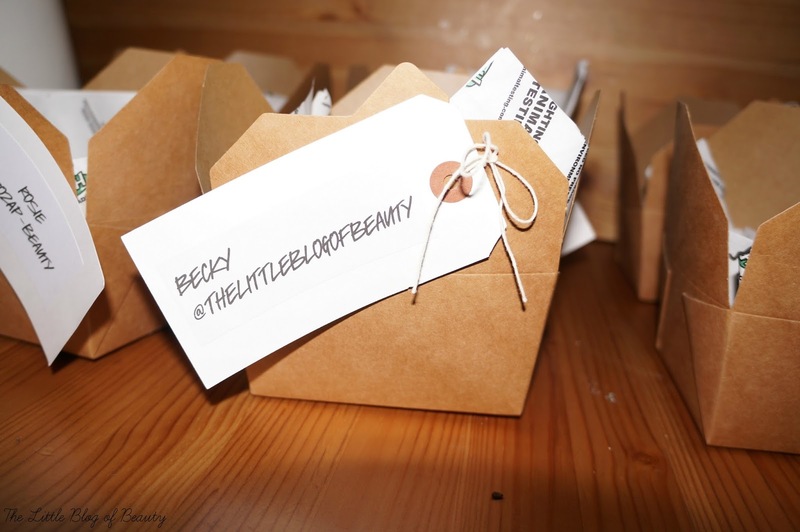 The full facial may include more products (or just more time spent on each stage) but mine included a cleanser (9 to 5) toner water (Breathe of fresh air), serum (Full of grace), face mask (Oatifix), moisturiser (oops I can't remember! ), lip scrub (Mint julips) and lip balm (Whipstick). The specific products used in each facial will depend on your skin type and any skin concerns you may have such as redness. In the full Validation Facial the face mask would be removed with a hot flannel but as this wasn't possible in store mine was removed with toner water. After the facial I was then given a brief massage that involved kind of tapping the base of my neck and shoulders to make them relax. I have to say I did feel really relaxed afterwards and my skin felt (and smelled) lovely. I actually took five empty Lush pots along with me that I exchanged for an Oatifix face mask, which was the one that was used in my facial. I can't wait to give it a try at home, it smells like flapjacks! 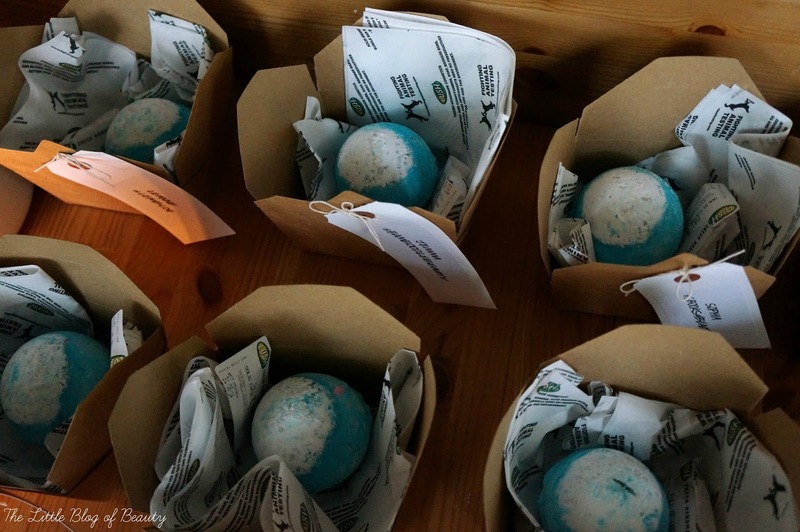 I did a post a few days ago on how to recycle your Lush packaging, if you'd like to take a look you can find that post here. 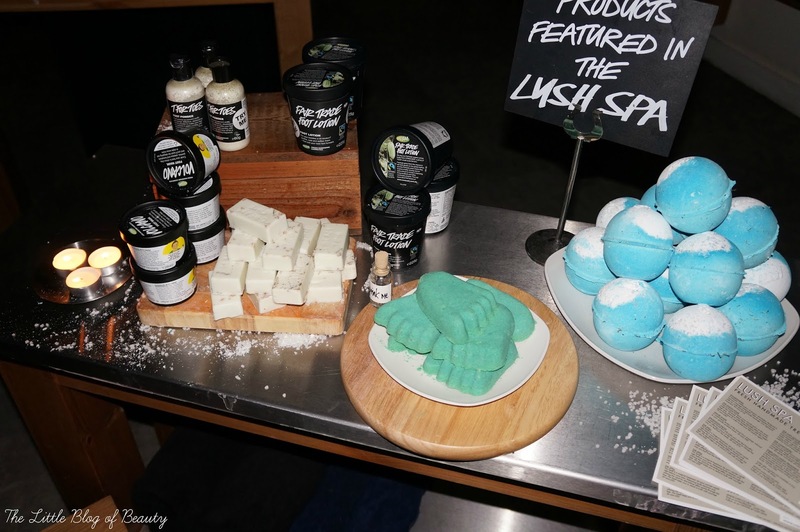 The Spell involves a bath for your feet using one of their bath bombs, which I believe was Big Blue, followed by a foot massage and stimulation of reflex points on the feet. I wasn't sure about having this one as I have really tickly feet and wasn't sure if I'd be able to stop myself pulling them away. If my boyfriend even slightly touches my feet it usually results in him being kicked! As I didn't have this treatment myself I can't confirm exactly what was included, but one of the ladies who had the The Spell commented that at times during the treatment her feet kind of felt like they were numb as they were so relaxed and Rosie commented that afterwards it felt like she was walking on air. Sian and Jemma both had The Comforter and although again I can't confirm exactly what this included as I didn't have this treatment I know that it does include a body scrub, followed by a massage using one of their massage bars and that this leaves you with soft, smooth, beautifully smelling skin. Although the Meadowhall store isn't actually a spa store the Leeds store is so there is one close by if you're based near Meadowhall. Other spa stores include Edinburgh, Liverpool, Poole, Kingston, Kings Road (London) and the good news is more spas will be opening soon. 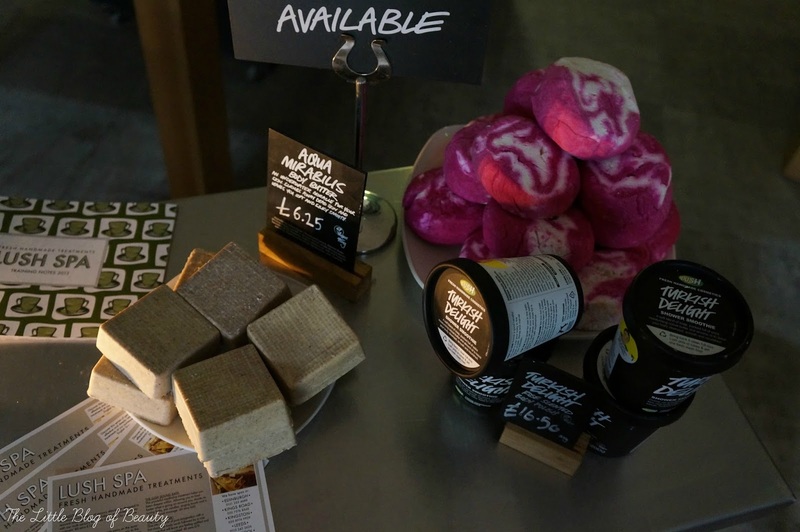 If you'd like to book a treatment you'll need to call your spa of choice and all contact numbers can be found on the Lush website. 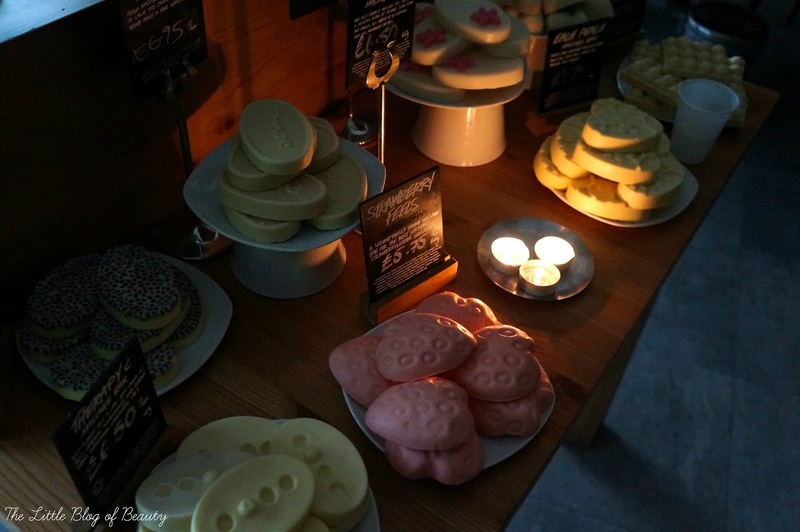 Would you visit a Lush spa? Oh what great photos you got!! 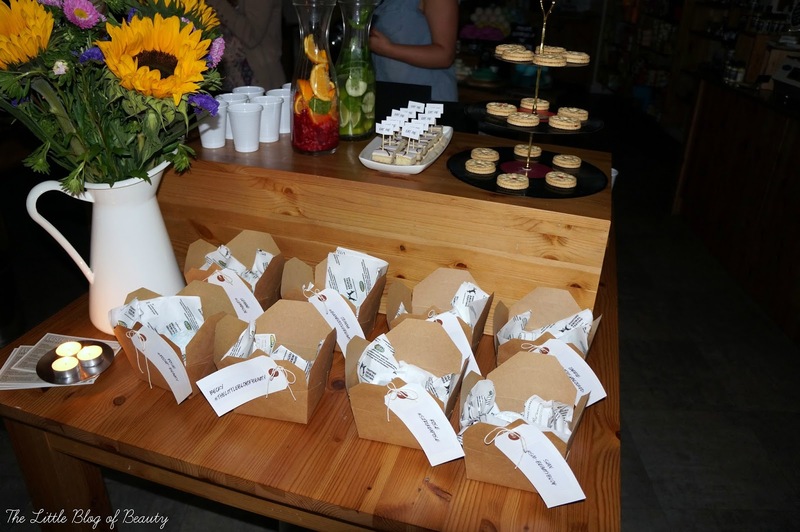 It was such a lovely evening :) I loved meeting you and the other girls. Hope we all get to do it again soon :)! Oh wow looks like so much fun! !